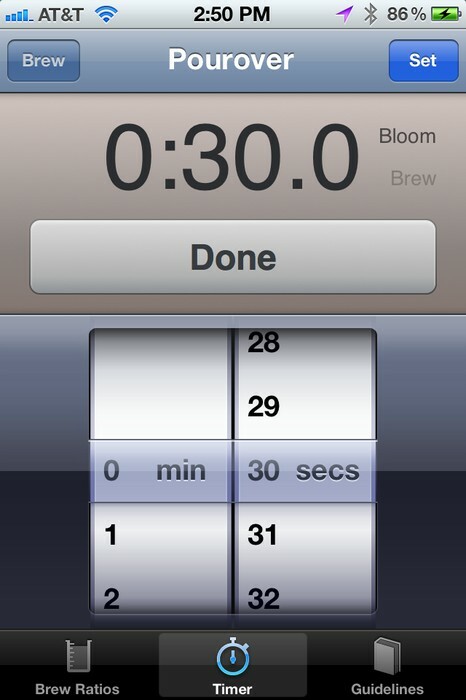 BrewControl is the coffee app for your iPhone. 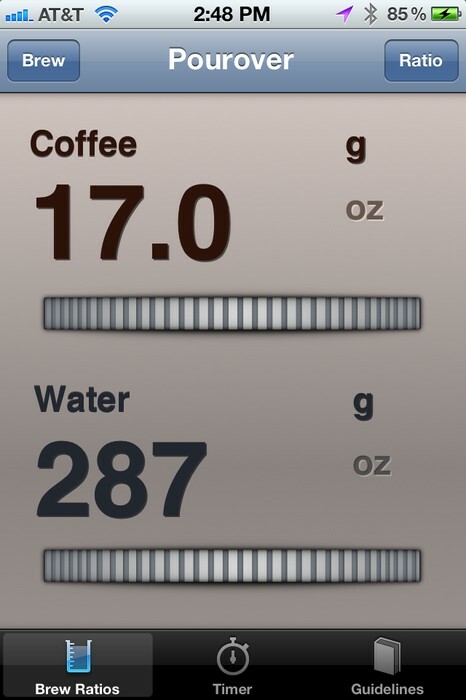 Why try to figure out how much water you need for a given amount of coffee every time? 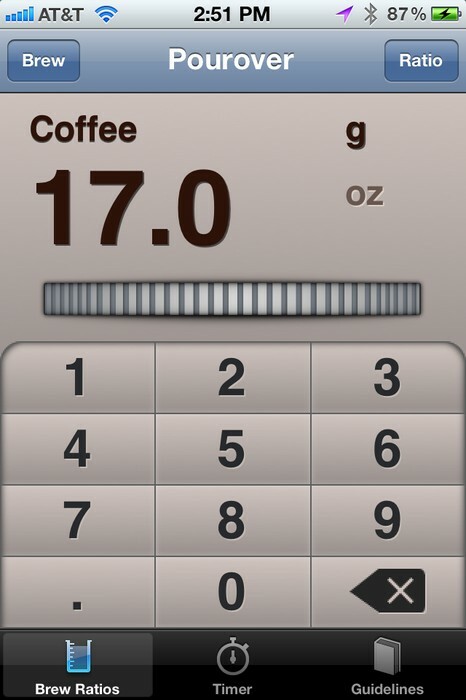 BrewControl will remember what coffee to water ratio you want, calculating the coffee and water weights on the fly. 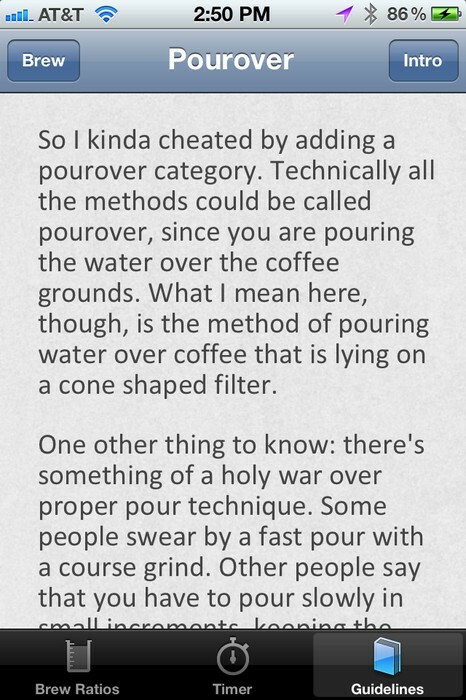 I've also included my own personal brewing guidelines as a very ignorable feature. 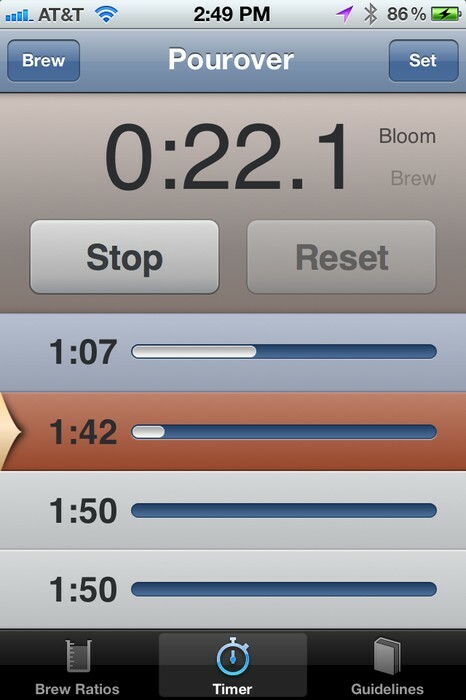 If you're looking for a new perspective on an old favorite, or a potential starting point, the brewing guidelines might possibly maybe not hurt.